HMH Books for Young Readers, 9780152055424, 348pp. Collun has always been happiest working in his garden. But his peaceful life is shattered when his sister, Nessa, mysteriously disappears. He sets off to find her and soon realizes that he and his traveling companions, including the feisty young archer Breo-Saight, have become involved in something much larger and more sinister than he had imagined. 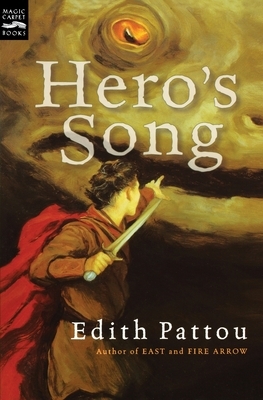 Edith Pattou is the author ofEast, an ALA Notable Book, and its sequel, West; Hero's Song; Fire Arrow, a Booklist Top Ten Fantasy Novel of the Year; Ghosting; and the New York Times bestselling picture book Mrs. Spitzer's Garden. She lives in Columbus, Ohio.